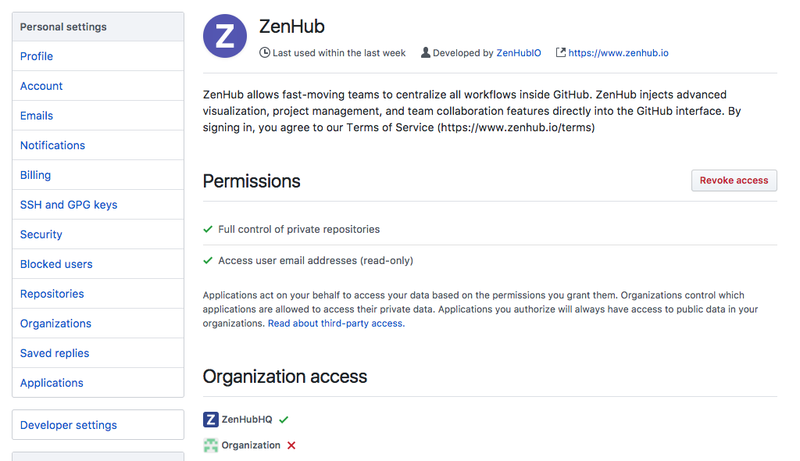 If you are trying to get started with ZenHub, but are seeing an error on the extension that you don't have permissions, or are seeing your organization not appear in the web app this is most likely because your GitHub organization hasn't yet granted ZenHub permissions. To confirm that your access is being blocked due to access restrictions, go to the GitHub OAuth settings for your organization in the GitHub profile settings. Once in Settings, head to Applications > Authorized OAuth apps. Click on ZenHub under the list of applications. All authorized organizations connected to ZenHub will be listed. If you see a red X next to the organization where you are having issues loading your Board or seeing it appear in the web app, this indicates third party restrictions are enabled. This prevents ZenHub from loading. If you see a green ✓ next to your organization and are still experiencing an issue accessing ZenHub, there might be a permission caching error. 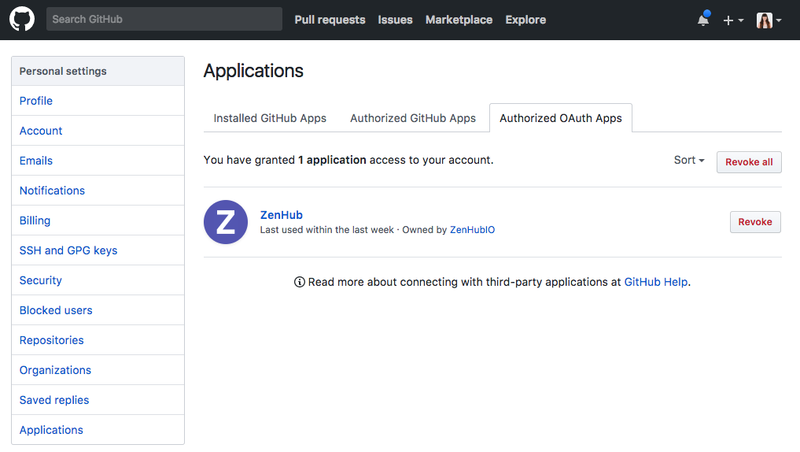 If ZenHub was granted permissions within the last 3 hours, you can force ZenHub to re-check for your new permissions by revoking your token under the authorized oAuth apps section, and re-authenticating by clicking Sign in on the bottom right of any page in the extension, or refreshing the web app. Only admins of your GitHub organization can grant access to oAuth apps. If you're an admin of the organization, you can grant access by heading to your organization's settings page. In the organization settings page, under Third-party Access you'll see which applications are being denied. Click on the pencil icon next to Denied to authorize ZenHub. If you're not the admin, head back to the oAuth apps settings page. Under the list of oAuth applications, next to ZenHub you'll see Request Access. If you have already requested access, you'll see Access request pending. You can learn more in GitHub's third-party restrictions support documentation. Or, get in touch at any time if you're still experiencing issues getting ZenHub setup.